Trained in the High Wycombe furniture industry, I started making furniture on my own account in 1976. Since then I have developed a passion for both design and craft and have followed a path in to teaching woodwork, from basic carpentry and joinery to fine woodworking in various colleges and academies across the country. Since settling in Norfolk I have developed a strong interest in Green Woodworking and now make traditional wooden rakes to augment my growing range of chairs and other fine furniture. 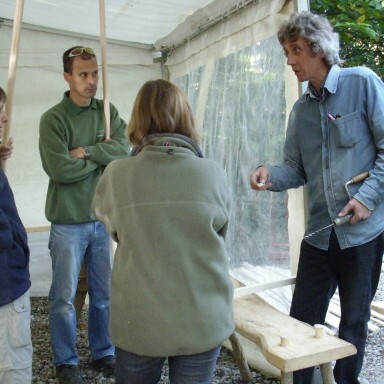 I am in the process of developing short courses for beginners in green woodworking and already run one day courses in rake making at Bradfield Woods in Suffolk. Round wood, steam bending and using simple construction techniques to reduce dependency on specialised machinery.